As usual...another stupid meme that makes no sense. Cruz will win but it?s not the kind of win the GOP needs in Texas. Way too close even if it?s not all that close. Not all that close? It?s within 1% right now. By the time of the voting, it will be a lot closer. IMO, Beto is bright enough, and has worked hard enough to unseat Cruz. Mid-term elections are not the Dems' forte. 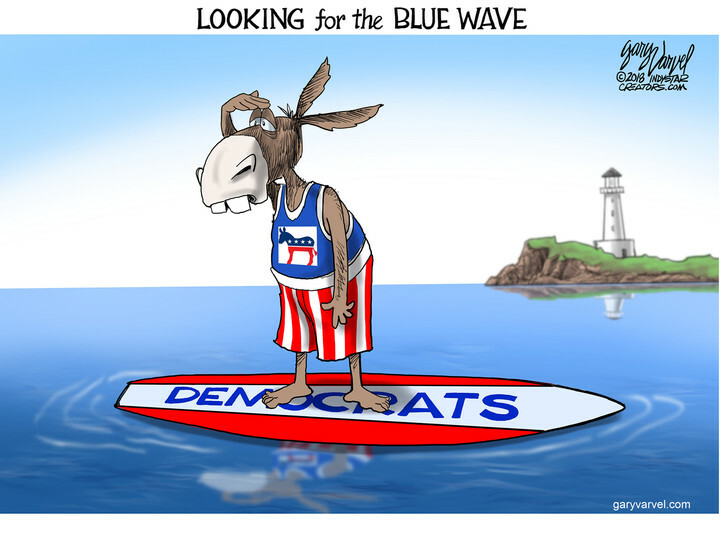 There will be a big blue wave; the Dems waving bye-bye to the moderates. Emerson also had Clinton at +1. That's at winning the electoral college, not the popular vote. To be honest, polls mean nothing until 2 weeks before the election. From what I'm hearing, Cruz and Texas Republicans are not sweating Cruz' seat. From what I'm hearing, Cruz and Texas Republicans are not sweating Cruz' seat. I don't think that's the case, although I would encourage it. This is why he'll lose. 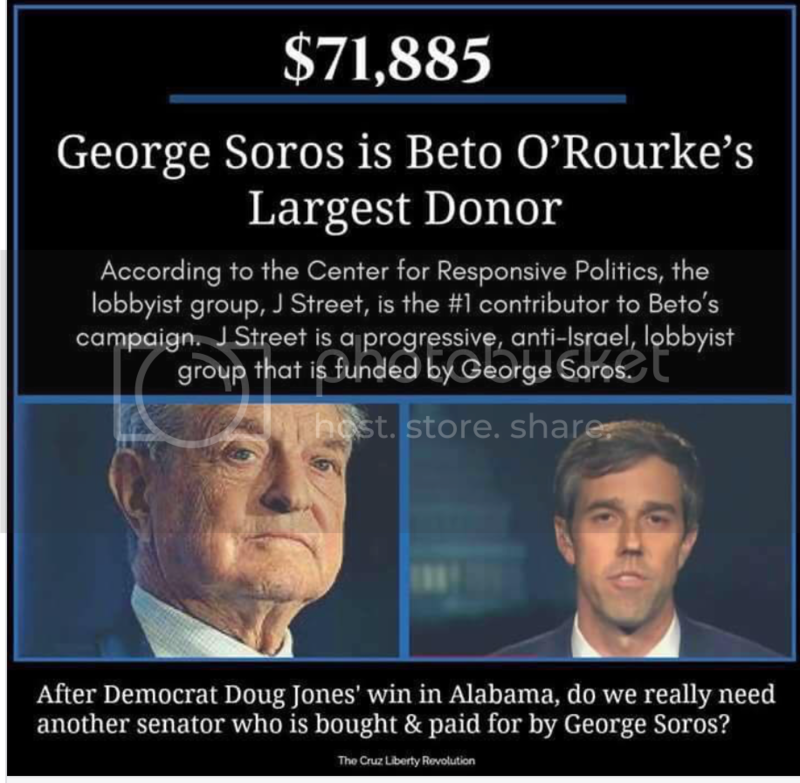 Soros is here to buy Texas votes. He donated $25 million to Hillary. How he's helping Beto. Fix yer meme. The numbers are WAAAAAY off. It's more like $139,000 from JStreet. A few more bucks would be nice. You should be worried, fuzzball. Another election prediction you will have missed. repugnants are getting very, very, very nervous. haha? 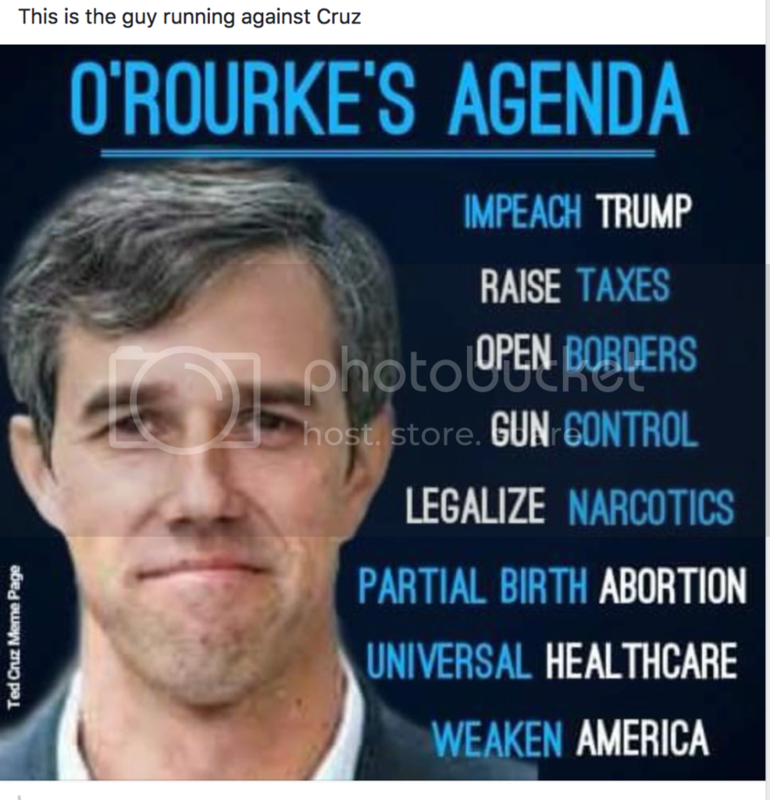 Name one republican who's nervous about O'Rourke? The left was saying the same thing about Wendy. Beto has a chance to win and I hope he does! 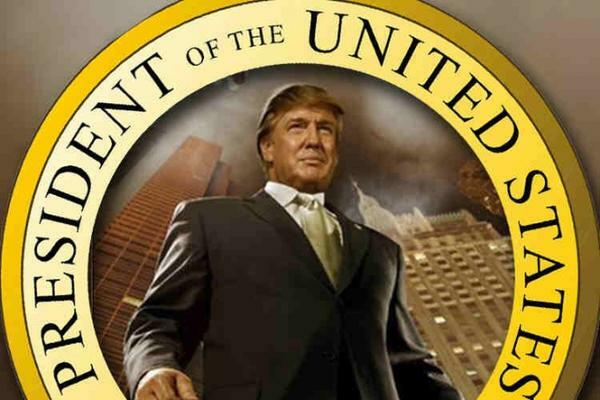 He has my vote! 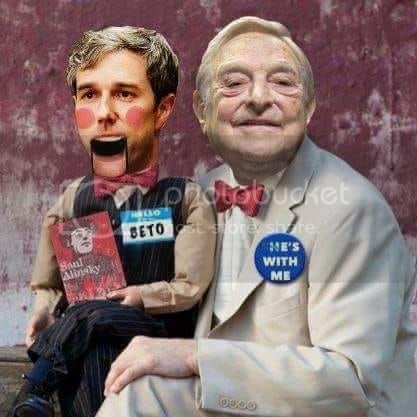 DP is aligned with O'rourke's agenda! 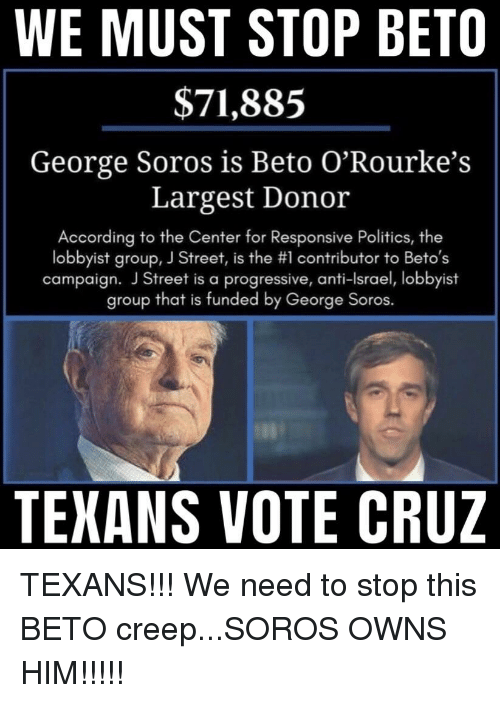 It's hard to believe that Texans would vote for Beto, when most of his money comes from California and New York liberals. And, former Nazi collaborator George Soros. A few more dollars is good. That's ridiculous. They probably all do it. They aren't loyal to their constituents when their pockets are being lined by people who don't even have a stake in this community. Pathetic. We should make it illegal for our "representatives" to be bought and sold to the highest payers. 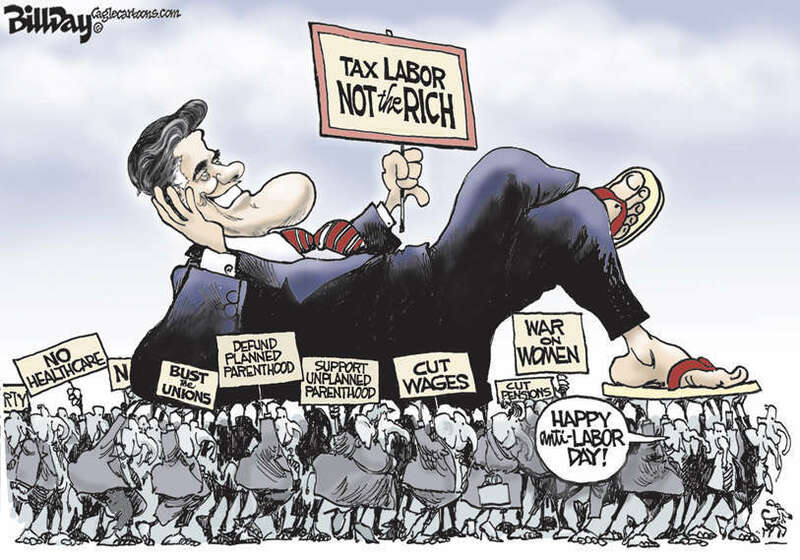 Rafael takes money from super PACs and corporate lobbyists. He?s paid to lie through his teeth for them. Beto took money from real people. He?s being paid to stand up for real people. Please give me your source for this statement or is it just your opinion which isn't worth anything! and what is yours worth? Funny how that always is the case. Help from FEMA isn't socialism. Maybe you should educate yourself before you talk. You do show how ignorant you are.